Education and background: Associate’s degree from LaGuardia Community College; bachelor’s degree from Lehman College. Is also the recipient of honorary doctoral degrees in civil law from Berkeley College and Mercy College, an honorary doctoral degree in humane letters from the Metropolitan College of New York, and the President’s Medal from Hostos Community College. Served as a member of the New York State Assembly from 1997 to 2009 and had been elected at the age of 23, making him the youngest person elected to the Assembly since Theodore Roosevelt. Was named one of City Hall magazine’s 40 Under 40 influential members of New York City politics in September 2007. 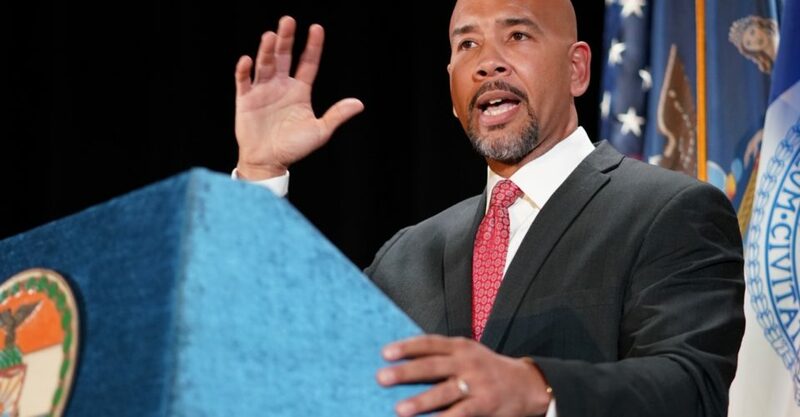 Is currently serving his third full term as Bronx Borough President, having been re-elected in November 2017 with more than 88 percent of the vote. 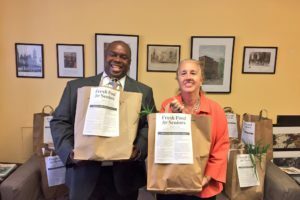 What he’s doing to advance food policy: Has prioritized improving health outcomes in the Bronx — once ranked the least healthy county in New York State — by launching the “#Not62” Campaign aimed at advancing social and economic factors that would help promote more positive health behaviors among Bronx residents. To that end, has also provided funding to an array of projects in every Bronx neighborhood that would support borough schools, green roofs and park improvements. Has worked to eliminate food deserts in the Bronx, starting with a wellness and quality of life survey to understand Bronx residents’ view of the borough, as well as their health and lifestyle patterns such as eating habits and food access. Has since supported the opening of Hostos Community College’s farmers market in partnership with GrowNYC, launched a Bronx-based, senior-focused Community Supported Agriculture (CSA) initiative and urged the United States Department of Agriculture (USDA) to adopt rules making it easier for consumers to use their Supplemental Nutrition Assistance (SNAP) benefits online using Electronic Benefit Transfers (EBT) cards with companies that deliver food to consumers to ensure greater access to quality fruits and vegetables among Bronx residents. Helped to spearhead New York State’s participation in a nationwide pilot program that allows Supplemental Nutrition Assistance Program (SNAP) participants to purchase their groceries online. Has supported Governor Andrew Cuomo’s funding of a South Bronx Food Hub which would include a new wholesale farmers’ market, a USDA-compliant cold storage facility, a food-processing center and other infrastructure upgrades to support local food businesses. The new facility is expected to move nearly 20 million pounds of local produce a year and create 95 permanent jobs and 150 construction jobs. What he enjoys outside of Borough Hall: Roots for the Yankees over the Mets, the Giants over the Jets and the Knicks over the Nets. Says he always dreamed of playing for the New York Knicks.